Joe Wicks Net Worth 2018 – How Rich Is He Really? Everyone wants to be the very best that they can be but a lot of us don’t eat right, eat too much, or never get more exercise than walking to and from the car. It’s not easy to be healthy and wise is the one who can take our sum total knowledge of health and nutrition and package it in a way that’s not only doable, it’s easy. 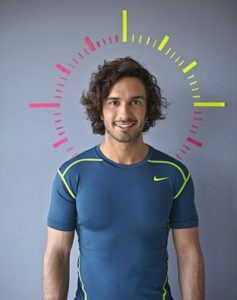 This person is Joe Wicks, known by several glowing titles, a social media savvy trainer who found some of those aforementioned secrets and put them to work for him, by telling everyone! Like any good health guru, he doesn’t tell everything for free but is the story of the Body Coach worth every penny of what he is? 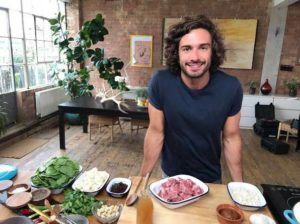 How Did Joe Wicks Make His Money & Wealth? Born September 21, 1986 in Epsom in Surrey, England, his parents divorced when he was young though Joe maintained a good relationship with both. His father, a roofer, always harboured ambitions of becoming a yoga teacher and his mother, who went back to school in adulthood, is a social worker, and by all accounts, Joe and his two brothers had a relatively normal childhood and grew up on a council estate. 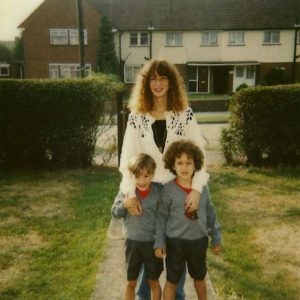 Always an active child, he was very into sports and his unstoppable energy gave him the rush needed to get everything done that he could, attending a ‘state school’ in Epsom and leaving at 16 for a few years at the local tech before studying sports science at St. Mary’s University in Twickenham. While Joe initially wanted to be a physical education teacher, he took some time in the grand tradition of finding himself, and following an enlightening journey travelling across Asia and Australia, he decided that the life of the personal trainer was for him. Starting in South London, he borrowed £2000 ($2560) from his parents to start his own brand, a fitness boot camp called Rumble in the Park. It was not a commercial success and though Joe couldn’t repay his parents’ loan, they encouraged him not to give up and stressed that he should try again, as long as what he was doing made him happy. Since going solo hadn’t worked, Joe made the move to teaching gym-affiliated classes, cycling to the tube station every morning towing his weight equipment behind him to instruct sparse classes. He tirelessly handed out leaflets advertising his skills and offers as a personal trainer but takers were few and far between. Perhaps someone else might have become depressed and gone into an easier line of work, like physical education or going back to school for sports medicine, but Joe was undaunted. His salvation was Instagram. Joining the massive social media platform and accruing followers, at first he just posted about fitness and nutrition but as he became a bit more popular, added a bit of personality and inspirational videos in 2014. The results were instant and amazing, as people could relate to this ‘average Joe’ who understood that health and fitness was so hard in the contemporary world. Taking some time for strategy, Joe developed his first program, a 90-day exercise/nutrition plan that he started selling for £147, after seeing all the dangerous, unpleasant, and downright idiotic cleanses, fad diets, and detoxes people were putting themselves through in the name of health. This was Joe Wicks’ tipping point from savvy personal trainer to fitness guru. A book deal with Bluebird followed for the first Lean in 15 book (there would eventually be three; The Shape Plan, The Shift Plan, and The Sustain Plan) and Joe was fast becoming a household name. With his books breaking sales records in the UK (more sales than any other weight-loss titles combined) he was offered a job with Channel 4 to host his own show, The Body Coach. With a rumoured seven figure pull per month, Joe has gone from obscurity to the height of popularity in only three short years by leveraging his talents in the context of our contemporary lives. He’s said it’s all about finding out what people need to help them be the best they can be, and he’s certainly done that in spades. Joe is not married but he is currently in a relationship. Piers Morgan famously grilled him about it during an interview on Good Morning Britain and he could only squirm uncomfortably (Piers Morgan does tend to have that effect on people), though Joe has previously told the Radio Times that he’s busy “24/7” and has no time for a girlfriend. While single, the nesting instinct was strong and he built a house, stressing that he does someday want to settle down and start a family. Joe had told The Guardian, saying that he had previously been in an 11 year relationship and kept it completely to himself and %100 off social media, that in the age of digital realism, privacy has never been more important. 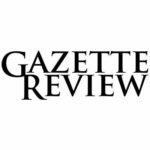 The cat was out of the bag recently, however, when Joe disclosed that he and model Rosie Jones had been dating for several months, having already been on a few tropical holidays together. Now that must have been a beach scene! Did Joe go to college? Joe attended St. Mary’s University in Twickenham, the oldest Roman Catholic institution in the UK, where he studied sports science. As a research university, St. Mary’s is focused more on study and innovation towards the benefit of the field. Joe does admit that he does not hold any qualifications in dietary nutrition and that his plan, which emphasises a balanced diet and exercise might not be for everyone, depending on individual nutritional needs. How does Joe feel about helping to influence nutrition? 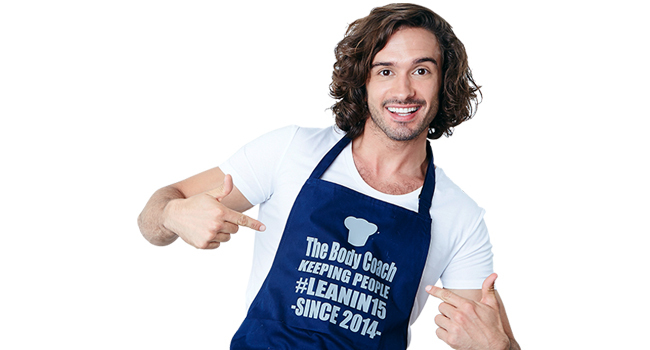 Let’s deal with one thing right away: Joe Wicks does not understand the clean-eating fad. As he told The Guardian, “I’ve just had bangers and mash, don’t mean I’m dirty!” He feels that one of the biggest problems with modern fad diets (including trying to pretend that zucchini is spaghetti) is that it leaves out balance and has unrealistic expectations for what people can/will cook and also what they can/will eat. He stresses that considering some foods ‘sinful’ or forbidden (carbs, we’re looking at you) is the wrong way to think about food and that a balanced diet reinforced by the right exercise program makes all the difference. Joe’s even made broccoli hip again, calling tenderstem broccoli “midget trees” and by some accounts, the approach has actually raised the popularity of tenderstem broccoli in the UK as well as the average price by £0.14 ($0.18). The training aspect of the 90-day plan is just as important as the diet, and Joe favours HIIT (high intensity interval training) featuring short bursts of cardio-pumping high intensity muscle training followed by short periods of rest. It’s all about changing your overall eating and fitness habits, he’s said in interviews and on his show, not dieting, starving yourself, cutting things out, or potentially damaging yourself with ‘herbal detox’ solutions. What does Joe do with his wealth? By some estimates, Joe Wicks is worth a lot of money, so what is he doing with it all? Either he’s hiding it under the mattress or investing it all because this is one newly-minted celeb who isn’t all about the conspicuous consumption. Joe’s said that even getting to the point of owning his own house was something he’d never even dreamed of when he was young. The first in his family to go to university, and was also the first to own a house (though he’s since purchased a house for his mother), something he speaks of with both pride and genuine awe. Certainly a canny businessman to have turned an Instagram account into a burgeoning fitness guru empire, Joe might be living the comfortable life but with a celeb’s schedule to go with it. Whatever he’s doing with that money, it’s a safe bet there’ll be branding and we’ll be queuing up to get our copy soon enough. The boy from Epsom “raised on junkfood” has made good in a big way. Helping millions eat leaner, be more active, and be healthier might seem like a tall order but it’s all in a day’s work for Joe Wicks. With nearly 2 million Instagram followers, 282,000 Twitter followers, and a new book just out, Cooking For Family and Friends: 100 Lean Recipes to Enjoy Together, the world is seemingly at his feet. Whatever’s next for the Body Coach, it’s sure to take him far. Anna is a freelancer writer with a passion for reading, travel, and psychology.